WhatsApp Announcement When Will Give Users Change Number - Hello friend Movoty Blog | MOVe On to TechnologY at Movoty.com. On this article you read this time with the title WhatsApp Announcement When Will Give Users Change Number , We have prepared this article well for you to read and take the information in it. hopefully the contents of the post Articles Android, Articles Apps, Articles News, Articles WhatsApp, That we write this you can understand. okay, happy reading. The most popular instant messaging app, WhatsApp, is known to soon have new features. This feature allows users to send messages to friends in contact when changing phone numbers. The notification feature to replace this mobile number is still in the testing phase. Give it a try, users need to download WhatsApp for Android Beta version 2.18.97. IOS beta users can not test it yet. This feature makes it easy for users to migrate information from an old account to a new account, be it a group, an account, or other information. Then users can also choose who to send notifications to. Can on all contacts, chat contacts you only, or only to specific persons as you want. Using this feature is very easy. As mentioned earlier, the first user must upgrade the Android WhatsApp beta to version 2.18.97. When it has been updated, the user can select the WhatsApp settings menu in the upper right corner and press the Account menu. Then enter the old and new telephone numbers and choose Continue. Users are confronted with the option to which a notification about the WhatsApp number is sent. After pressing the Done button, the notification will be sent automatically. 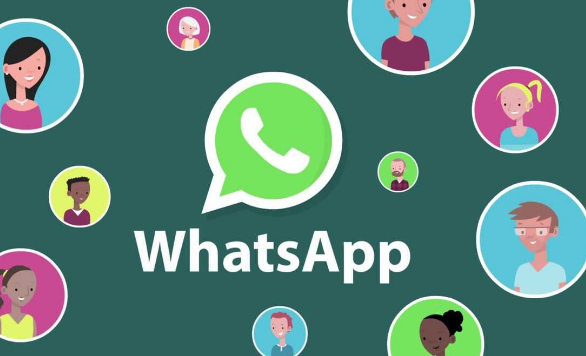 This feature is intended to make it easier for WhatsApp users. The reason, until now, if the user changed the phone number, then he must send notifications individually to his contacts or through WhatsApp group. Of course this is very impractical. However, there are no exact messages as to when this feature will be officially launched. This trial version is still limited for Android users, while iOS users should wait patiently. Let's wait and see when this feature officially starts! That's an article WhatsApp Announcement When Will Give Users Change Number This article will be useful for you all. okay, see you in other article posting. Do not forget to keep visiting on Movoty Blog | MOVe On to TechnologY at Movoty.com.